Yes, I know that anything relatively new has an elevated price in order to recoup the cost associated with development, setup of the manufacturing, etc, etc. Would think that the simplicity of the EV and the associated batteries would be comparable in price to the ICE auto which require thousands of components. Hopefully, the ever increasing price of gasoline which is generally going to countries that are hostile to the US will cause many Americans to wake up and see the advantages of promoting what is in our own best interest. Think we still have the talent in this country to develop sources of nonpolluting energy. Feel our talent base is being rapidly destroyed by the 'dumbing down of America' process which is so widespread. Environmental concerns surrounding the standard gasoline filling stations should cause them to quickly jump on the recharging bandwagon which seems to be dominated by local governments. 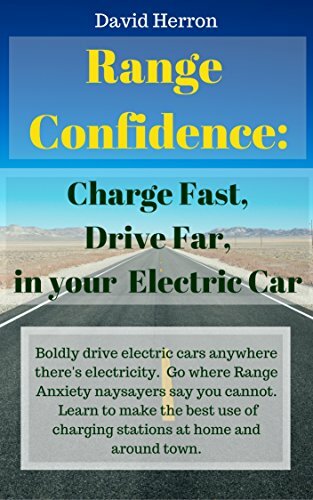 There are groups, plug-in-America for example, which are leading the charge to minimize the range anxiety associated EV's. If you have similar or different thoughts, feel free to express them so that others can see your take on our present status. EV's are still not without problems. Batteries are still problematic because all it takes is a bad cell in a group of many and things can go badly. I'm a big fan of the "concept" but I've been around it long enough to realize it's not easy. It does seem to be evolving though... slowly. "Environmental concerns surrounding the standard gasoline filling stations should cause them to quickly jump on the recharging bandwagon which seems to be dominated by local governments." Unfortunately this isn't true. People care little about environmental problems that don't directly and immediately affect them. "People care little about environmental problems that don't directly and immediately affect them." Quite true. In my case the immediate environmental problem I had with my 50cc Aprila Scooter was the immense racket it made, reving up to 9500 rpm to just go 50km/h. That not only pushed up fuel usage by a good 10% compared to it's 6500 rpm predecessor, but most directly it hurt my ears. Hi Leftie, The sentence could have been better worded. What was meant is the EPA is very strict on service station owners concerning their huge supplies of fuel that could potentially contaminate the surrounding ground and water table if they were to have a leak or their tanks somehow get punctured. Service stations owners are potentially facing a huge liability. Have you noticed that most service station carry a large supply of hi profit items that are not related to their fuel. Feel sure they would gladly install charging stations if there was a huge number of EV's on which they could make a little money by charging EV's and make a lot of money on selling their other products with little to no liability concerns. The Tesla "Supercharging Stations" have the right idea. With batteries like the (now bankrupt) A123 cells you can charge at amazing rates. What is needed is the technology to fast charge at a "formerly gas only station". All you really need is a few charging points along tne freeway system so that long distance charging is possible. The government should have a mandate that requires electric cars to have a minimum range (like 100 miles) much like the MPG standards for gas cars. That way all this "range anxiety" will be reduced. Few people commute more than 100 miles per day... so they would never need to stop anywhere. Stopping for recharging should be rare.